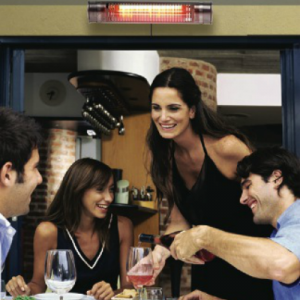 The innovative AURA outdoor MW SERIES Heater is an ideal solution to warm your favorite area on cool days. 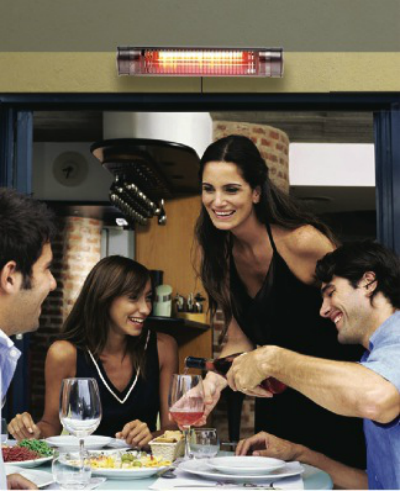 The AURA MW produces a medium wave infrared heat beam that heats up people and objects and not the air. Ideal for your patio, backyard, balcony, terrace, gazebo, garage and screened in rooms. 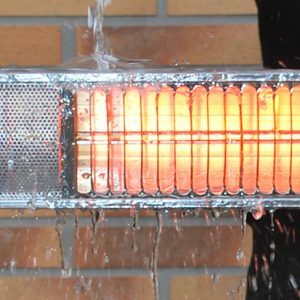 Produces instant heat with no pre-warming required. Wall or ceiling mounting maximizes floor space. Silent and odorless operation with no product of combustion. 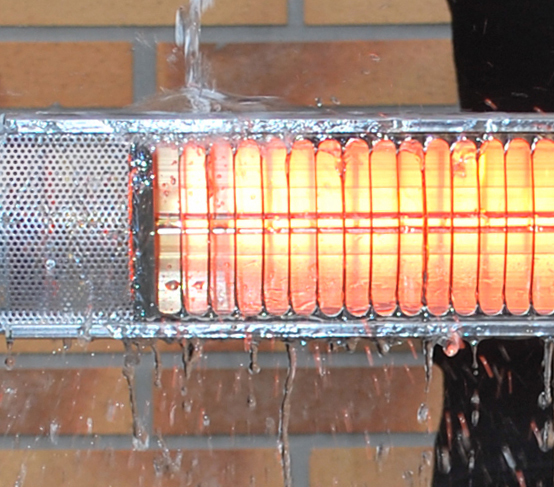 Rated to IP65 for water resistance and suitable for use in wet environments. 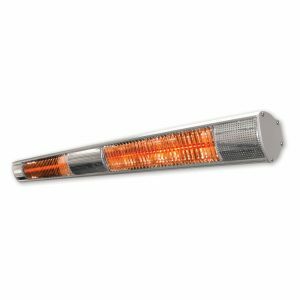 Extruded aircraft grade anodized aluminum body with stainless steel components. 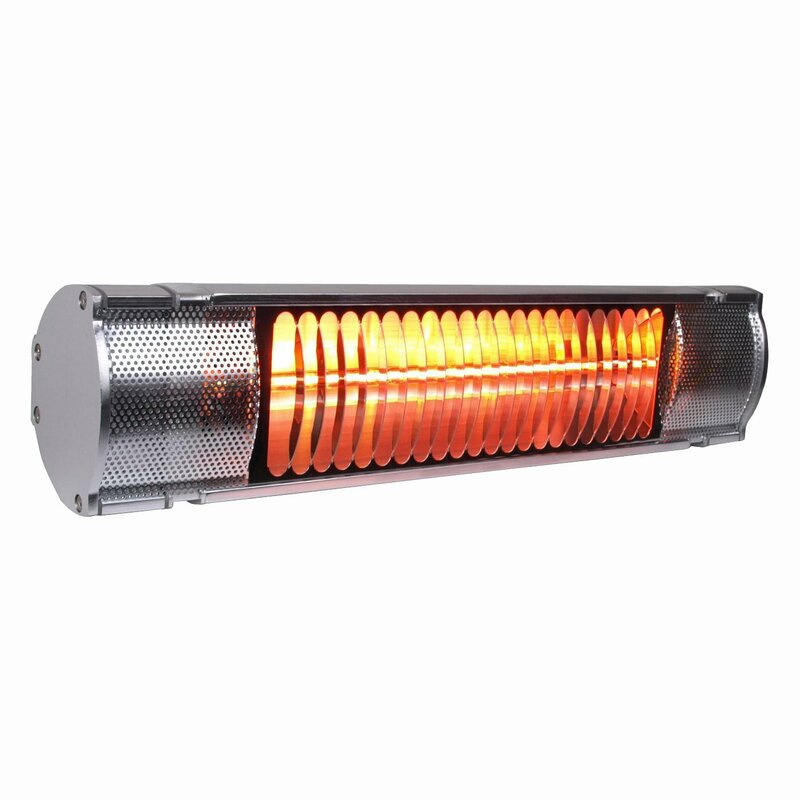 Available in either 1.5kW or 3.0kW.